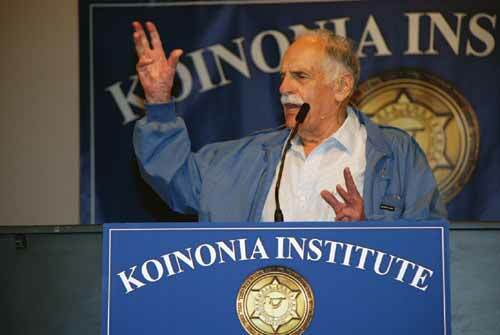 The Strategic Perspectives conference in Southern California was a great success. We were very excited to reconnect with our good friend, Jack Hibbs, pastor of Calvary Chapel Chino Hills. The staff was incredibly helpful and their facilities were amazing. The Berean Track is based on the 17th chapter of Acts, where the Apostle Paul makes note of the people of Berea, who searched the Scriptures to prove out the things that were being taught to them. And we have the Koinonos Track, taken from the Greek word for “partner” or “participant.” This is the “living out our faith” portion of the Institute. The Strategic Perspectives conference in Chino Hills featured speakers that highlighted all three tracks of the Institute. Within the Berean Track, we had the founder of World Net Daily, Joseph Farah (right), who spoke about the Biblical foundations of our current cultural system, starting in Genesis 10:8 with the birth of Noah’s grandson, Nimrod. The title of his talk was “Weeping for Talmuz.” Talmuz was supposedly the result of Nimrod coming back after his death and supernaturally impregnating his wife Simeramus, creating the man-god Talmuz. Later on in Scripture we learn that people were looking back in fondness of this pagan time and “weeping for Talmuz.” This was a great presentation and a “must have” for a clear understanding of where we are today. Our good friend and partner Paul McGuire of KBRT fame called to task those who would claim the name of Christ and yet not take His Word as their authority. He emphasized the importance of looking to God’s Word as our only and absolute authority—without exception! 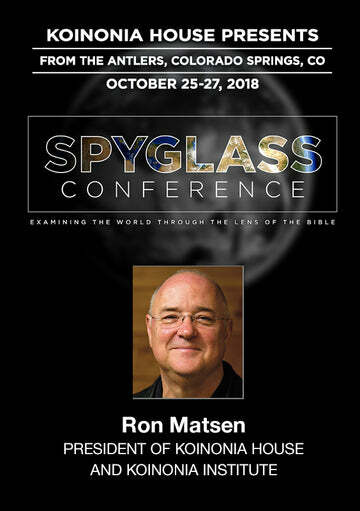 Within the Issachar Track, we had four unique speeches bringing insight and perspective to bear on where we are on God’s clock and what we should do about it. 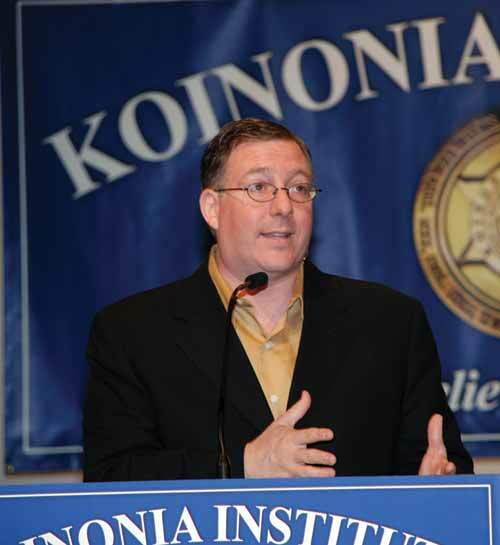 Joel Rosenberg’s (right) talk was titled, “All Eyes on the Epicenter.” Drawing from his many contacts within the governmental power structures in Washington D.C. and the Knesset—and more importantly from the Word of God—Joel painted a clear picture of what the near future may have in store for us and the rest of the world. Joel also answered the “So what?” question, challenging us to be more effective lights in an increasingly darkened world. Tim LaHaye’s presentation was “The Merciful God of Prophecy.” Many times we think of God in prophecy as the God of judgment and anger, when in reality it is His way of confirming to us that He is indeed God and that we can trust in Him. See Isaiah 46:9-10. Shimon Erem (left) joined us just hours after he landed at LAX on his way back from Israel and the 60th year celebration with over a thousand Christians from 30 countries. He gave us an over-view of what is happening in Israel today, a short history lesson highlighting the miracles of God that took place to bring Israel back, and the continual blessing and intervention of God that keeps her safe today. Chuck spoke on the scientific advancements that are occurring around the world and how they may affect our lives in the near future. Chuck also highlighted the uses that these new discoveries and technologies would have for the furthering of the Gospel. 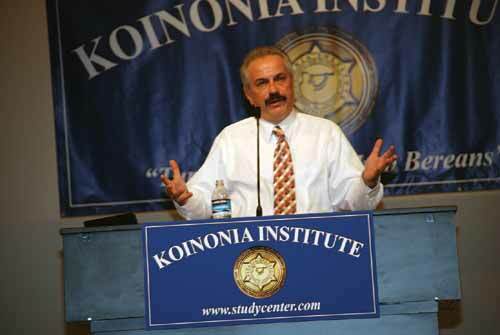 The Koinonos Track was addressed by Ray Comfort and Bob Cornuke. 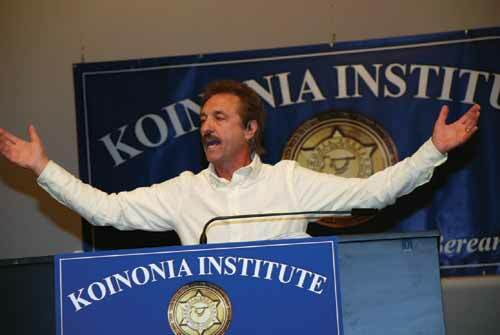 For those of you who have not had the pleasure of hearing Ray Comfort (right), you will be in for a treat. While he is a man of great conviction and has a passion for reaching the lost like no other, he is also an engaging and hilarious orator who cannot be missed. Explorer Bob Cornuke pointed out the changes in the world around us and how technological advancements have actually caused us to be less reliant on God as we turn to Science for the answers. He encouraged all of us to look to our Father for help and guidance. As we look to the future we see a fellowship without borders, a common link within the Institute where we are stronger together than we could ever be apart. Much like the Roman Empire’s inter-connecting road and trade routes made the spread of the Gospel more advantageous, the Internet and its sister technologies are now being utilized for the advancement of the Kingdom. July 2008 Personal Update News Journal.